This Week’s Basket (from Milk and Honey Organics) Included: Honeycrisp Apples, D’Anjou Pears, Ruby Grapefruit, Tangelos, Red Onions, Silver Dollar Mushrooms, Local Collards, Baby Spinach, Russet Potatoes, Carrots, Broccoli, and Hurricane Creek Tomatoes (and for Fruit Baskets Only: Starfruit). This Week’s Basket from Milk and Honey Organics included: Kale and Sweet Onions (with Tops) from Parisi Farms, Limes, Yukon Gold Potatoes, Plum Tomatoes, Blueberries, Romaine Lettuce, Bananas, Hamlin Oranges, Cauliflower, Hass Avocados, and Arkansas Black Apples. This Week’s Basket from Milk and Honey Organics Included: Green Beans, N.C. Covington Yams, Rainbow Chard, Brussels Sprouts, Fuji Apples, Hurricane Creek Tomatoes, Yellow Onions, Grapefruit, Green Leaf Lettuce, Garlic, Sunburst Tangerines, and Blueberries. What a colorful basket! Some of you may be thinking, “Brussels Sprouts?! Really!? Who eats Brussels Sprouts? !” This poor vegetable has earned a bad rap, especially among kids. My personal opinion is that if you’re thinking that, you’ve never had Brussels Sprouts prepared properly. I don’t know about you, but as soon as I took the picture of this week’s basket’s, I put everything else away, and immediately cleaned the Brussels Sprouts and cut them in half, pan frying them with salt, pepper and garlic in a combination of butter and olive oil. Yum! See the Recipe Archives page for even more ideas. 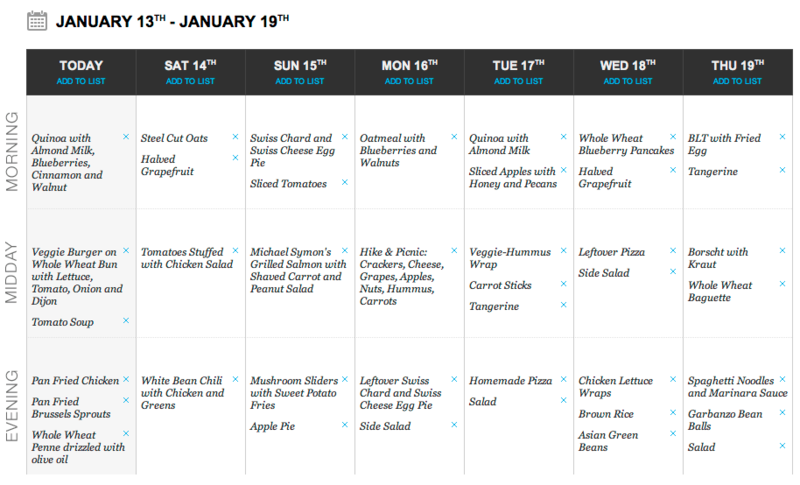 This Week’s Meal Plan (powered by PepperPlate.com) includes all kinds of warm dishes as well as some simple favorites, including a twist on the traditional Southern Collard Greens and Black-Eyed Peas for New Year’s! The tradition stems back to an ancient Jewish custom that included eating symbols of prosperity, including black-eyed peas, leeks, beets or spinach, dates, and bottle gourds (in the squash family) at Rosh Hashana, the Jewish New Year. When Jews arrived in the United States in the early 1700′s, they came to the Southern state of Georgia, where non-Jewish farmers adopted the symbols of prosperity around the time of the Civil War. But the Georgian farmers added pork to their greens and beans for flavor. Teri Green wrote an article called “A Tasty Tradition: New Year’s Meal Means Good Luck, Good Eats,” in which she writes, “The peas, since they swell when cooked, symbolize prosperity; the greens symbolize money; the pork, because pigs root forward when foraging, represents positive motion” (Montgomery Advertiser, Jan. 2, 2009). Who knew?! Happy New Year from My Journey to Lean! 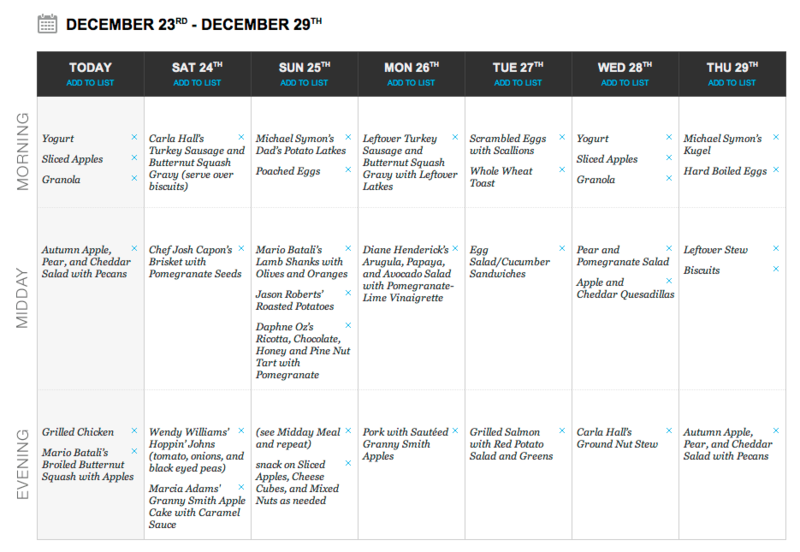 What New Year’s Traditions will you be cooking up?! 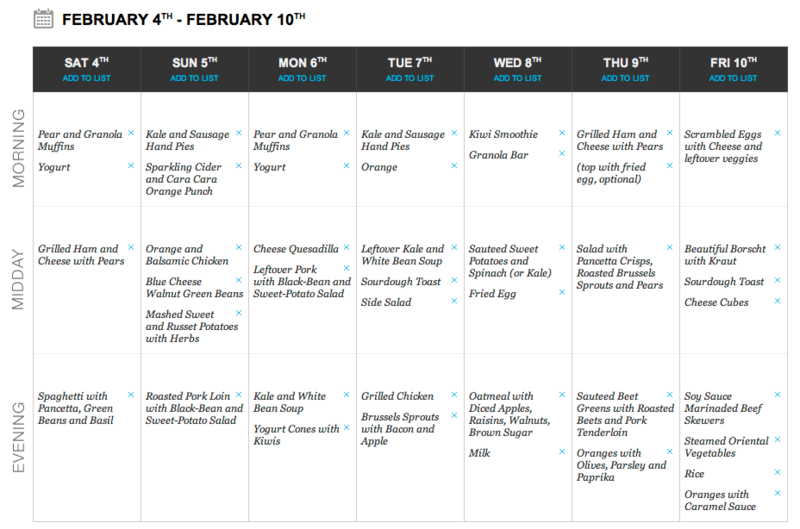 Weekly Recipes and Meal Plan! This Week’s Basket included Garlic, Ginger, Ruby Grapefruit, Satsuma Mandarins, D’Anjou Pears, Kiwis, Jonagold Apples, BioWay Turnips with Greens, Parisi Green or Red Cabbage, Hurricane Creek Cucumbers and Tomatoes, and Parisi Lettuce and Sweet Potatoes (the sweet potatoes were an extra in my basket because I blog for M&H, plus I got a few extra kiwi and pears that aren’t shown). Needless to say, this was a really excellent basket this week! 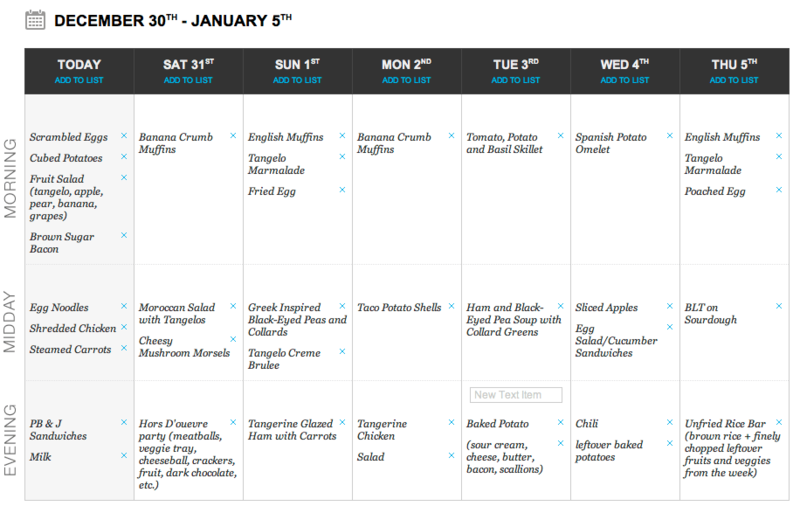 I used PepperPlate.com to create the meal plan, once again. I’m liking this site/app more and more every time I use it! 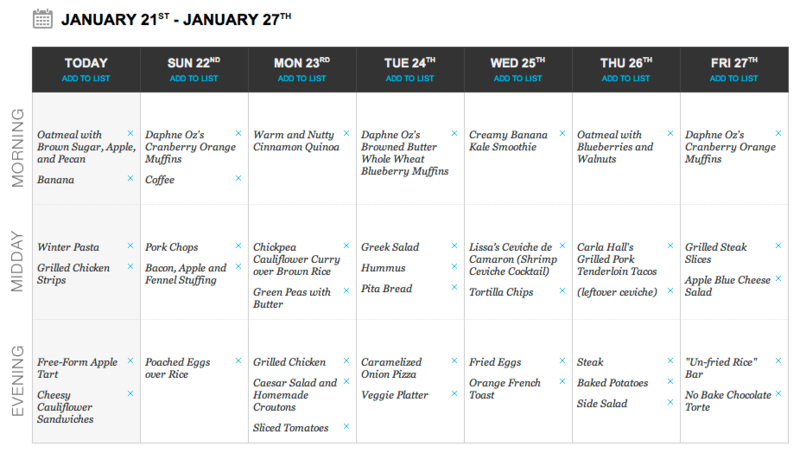 Other recipes on the meal plan can be found in the Recipe Archives on the Milk and Honey Organics blog. Here’s the recipe for the Turkey Feta Meatballs and Tomato Caper Pasta (an original favorite of mine). Enjoy! And here are some tips on Turnips and their Greens! (I recommend storing them separately in air tight containers or bags.) I hope you enjoy some delicious produce this weekend! My weekend will be spent finishing up last touches on Bryan’s Christmas gift and hopefully getting Christmas cards in the mail (fingers crossed)! Oh, and I plan on posting a giveaway on the blog soon!!! So stay tuned! How do plan on spending your weekend?! This Week’s Basket from Milk and Honey Organics included Granny Smith Apples, Satsuma Mandarins, Jumbo Sweet Yellow Onions, Pomegranates, Celery, Bananas, Carrots, Ataulfo Mangos, Silver Dollar Mushrooms, Hurricane Creek Lettuce, Kem Radish Microgreens, Parisi Farms’ Beets and White Sweet Potatoes. I am so excited to try the Satsumas! They’re a type of mandarin or orange, and a variety I have never had the privilege of tasting prior to this. And, of course, I love beets and sweet potatoes! 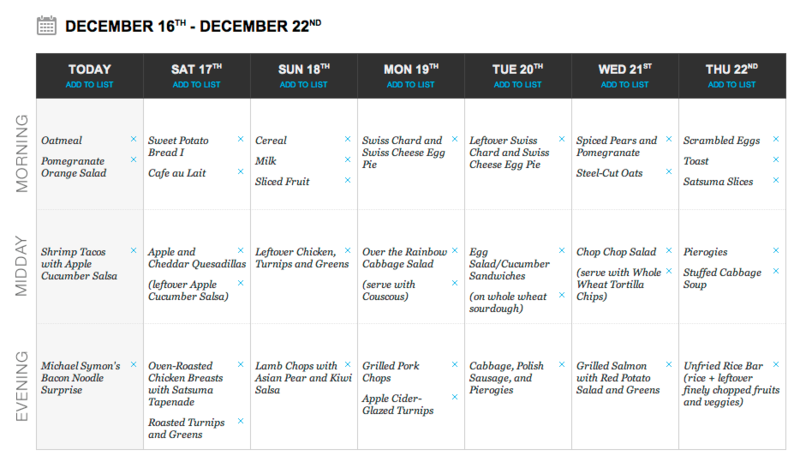 Here’s the meal plan I created using PepperPlate.com. 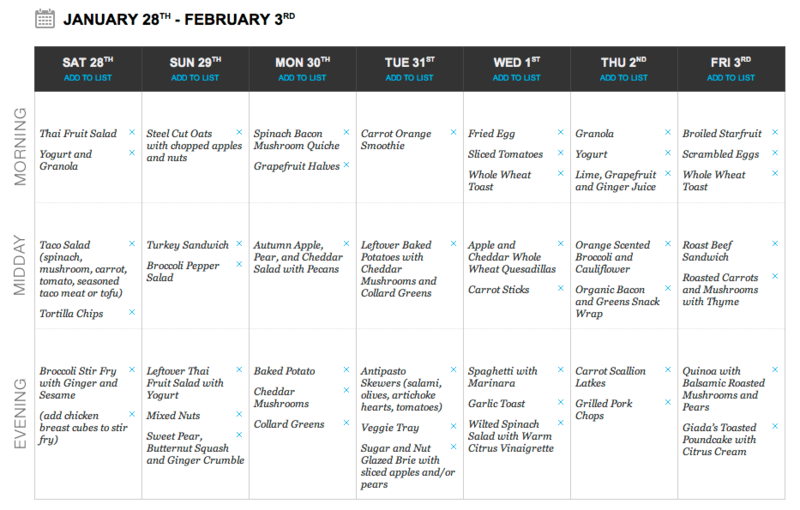 I have to say, the more recipes you add, the easier it is to meal plan. You simply go to the planner tab and type a word (like “beets”) and every recipe that has that word in the title pops up for you to select the recipe you want.